You'll be staying at a fully - furnished, privately owned Florida vacation home that's handpicked for its stylish high standards. You and your entire family will be able to enjoy all the creature comforts in the privacy of a luxury Florida home with high quality furnishing & facilities, full air conditioning, TV's and a fully equipped kitchen. And when you need to splash around, you'll be able to take advantage of a private screened (most are heated) swimming pool or a communal one if you're staying at one of our condos. 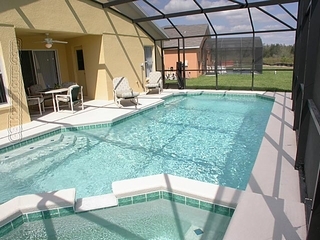 A Florida vacation home is a great way to enjoy a Disney World or MGM vacation, and offers a great value for the money. 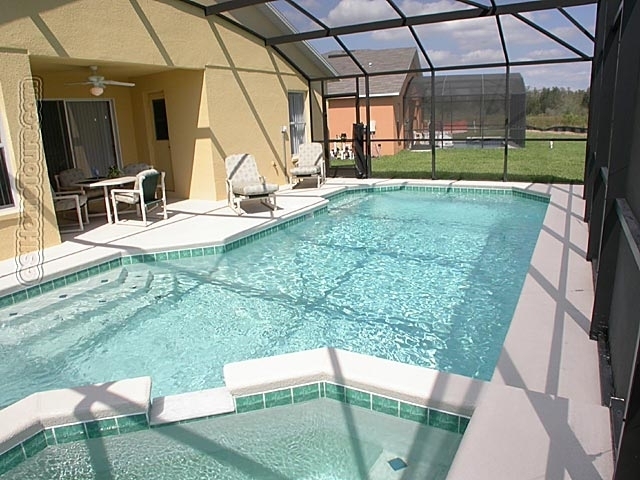 In fact, one of our large Florida vacation rentals with all of the facilities can actually cost less than a Disney World hotel room. Contact 1st American Leisure, LLC (863) 424-7130 for availability of this property and others.